In a fast paced city such as Dubai, stress is a part of life. Between constant deadlines, long working hours and the city’s notorious traffic jams, fatigue and anxiety often take over and there is little time left to enjoy the many pleasures the emirate has to offer. However, there is no better place to relax and rejuvenate than Dubai; with the large number of tourists that the emirate caters to, spa treatments are commonly available throughout the city. Massage and other spa treatments have been medically proven to promote well being, reduce stress and lower blood pressure. Dubai spas cater to every possible luxury craving you might want to satisfy; from hot stone body massages to wraps and deeply soothing ayurvedic spa treatments, there are a variety of spas that can cater to your every need, be it relieving stress, soothing aches and pains or just providing relaxation for those who burn the candle at both ends. With a dime a dozen spa treatments and locations in Dubai, it is important to do a bit of home work before you decide on which establishment will have the privilege of treating you like royalty! A recommendation from friends and family is always a great way to choose a spa; another great way to shortlist spas is to go online. Reputable establishments will have a strong online presence with photo galleries, details of their massage treatments and an informative website that will tell you exactly what to expect. This is also the best place to avail of special packages, seasonal spa treatments and discount offers. The spas listed below are selected for their excellent service, professional and courteous staff and relaxing environs, all of which will help to make your spa experience an unforgettable one. 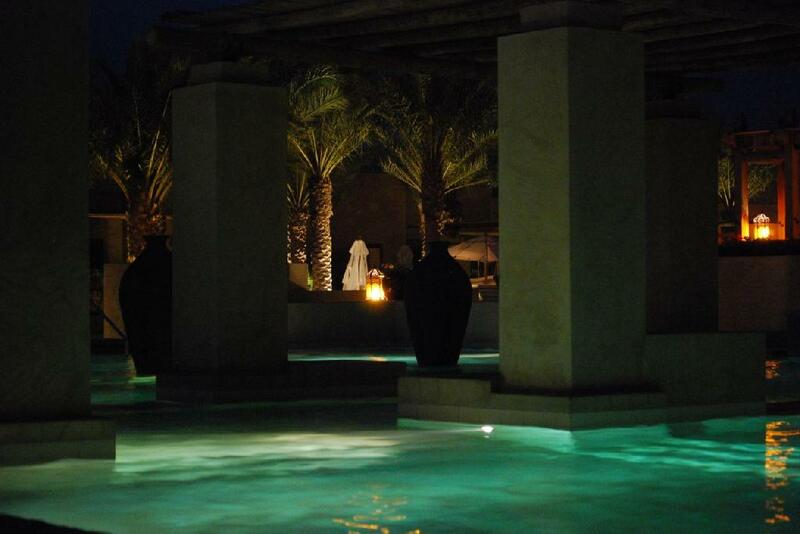 This ladies and gents spa is located in Old Town Dubai at the Souk al Bahar. Offering a variety of hair, nail, facial and massage treatments for both men and women, this contemporary spa also has a Turkish and Oriental Hammam. The mission of the Yas Beauty Spa is to provide customer-centered treatments, personalized to specific requirements in an immaculately clean and serene setting. The One&Only Royal Mirage Spa located within the One&Only Royal Mirage resort is a luxurious, serene sanctuary with 12 individual therapy rooms that provide a wide variety of tailored treatments designed to unwind, balance and uplift. The spa features whirlpools, massage rooms, Jacuzzis and plunge showers set in a traditional Oriental Hammam with heated massage tables. The spa provides separate treatments and operating hours for men and women in an exclusive haven designed to relax the body and mind. The spa is well known for its Signature Deeply Relaxing Body Care with Hot stone massage and the Royal Hammam Experience. For an unmatchable experience, and for those who desire the ultimate in royalty treatment, a visit to the Assawan Spa on the 18th floor of the Burj al Arab will be an unforgettable one. With luxurious interiors, strongly reminiscent of the ancient Middle Eastern hammams and bathing pools, the Assawan Spa is equipped with the most modern amenities including infinity pools, Jacuzzis, saunas and steam rooms. With a spectacular view, guests can also enjoy complimentary use of the Assawan Amphitheater with a balcony on the 18th floor where guests can relax after a massage. Amongst the spa’s many well known treatments are the Burj al Arab Caviar Facial and the Burj al Arab Caviar Body Treatment that use exquisite caviar guaranteed to brighten even the dullest complexion. The Softouch Spa specializes in customized face and body spa treatments that are tailored to individual skin types. Utilizing natural ingredients based on the ancient art of Ayurveda, this luxury spa offers over 60 treatments including massage therapy, body scrubs and wraps, facials and the three Signature Softouch spa treatments designed to provide the ultimate relaxing ritual for the body and face. Located behind exquisitely carved turquoise doors within the elite Jumeirah Zabeel Saray Hotel, this palatial spa offers guests a unique spa experience. The Talise Ottoman Spa is two time winner of the World Travel Awards, ‘U.A.E.’s Leading Spa Resort in 2011 and 2012 and offers limitless options in ways to pamper yourself, including thalassotherapy pools, snow rooms, saunas, hydrotherapy rooms and floating baths. At the heart of this grand spa is the Turkish Hammam decorated with splendid murals, mosaics and dark woods.